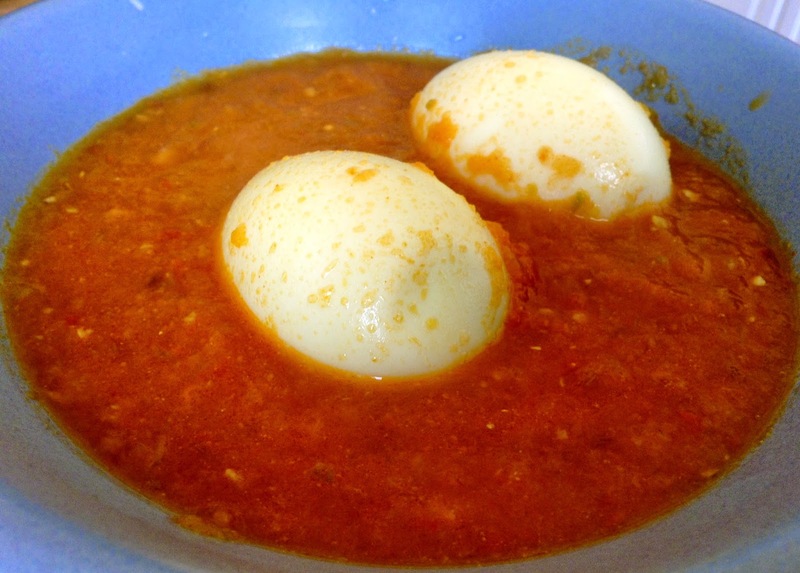 Egg curry has always been my favourite at home, but when I moved out of home, I could never successfully boil eggs. So I could never make egg curry myself. 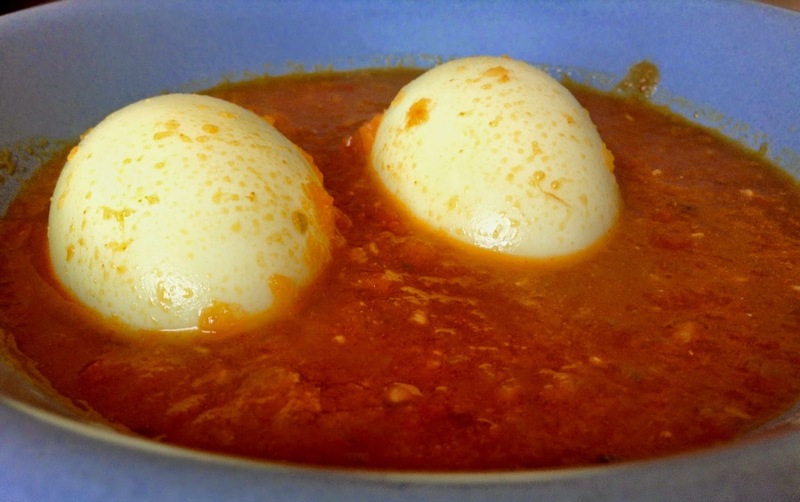 But when I discovered the recipe for How to make perfect hard-boiled eggs, and it was a big success, I was delighted and the first thing I did was to prepare this wonderful punjabi style egg curry, which I had been craving for such a long time. It turned out so perfect I was impressed of myself.. lol. And hubby complimented by saying that this is so perfect that even if anyone wants to find out a fault in this dish, he won't be able to.. Needless to say I was flattered.. !! So here I'm sharing the perfect (ahem!) 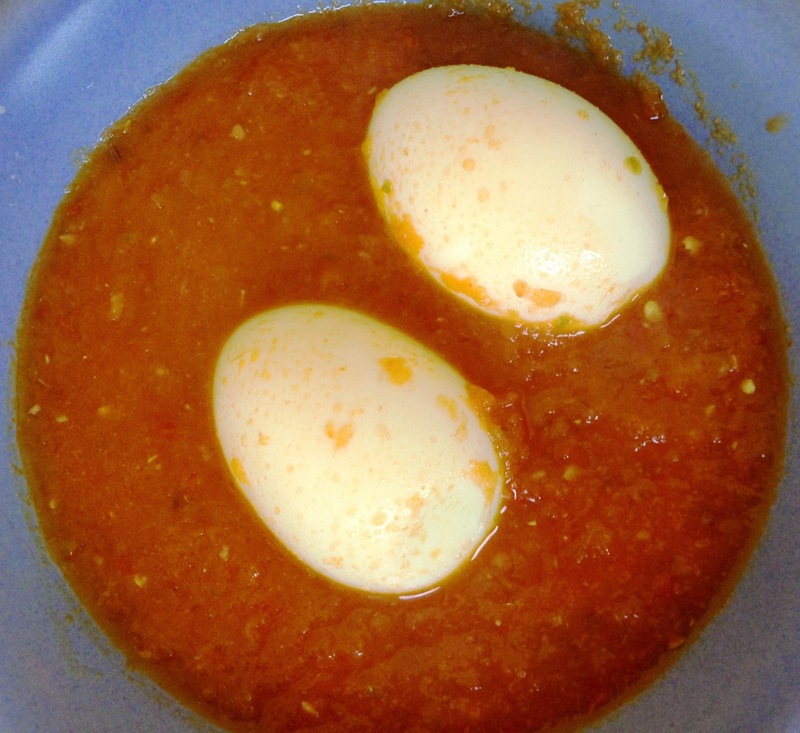 recipe of Egg-curry from my kitchen. Roughly chop onions, garlic, ginger, tomatoes and green chilli. Make a paste of onions and garlic and keep aside. Same way make another paste from tomato, green chilli and ginger and keep aside. Heat oil in a pan and temper the cumin seeds. Add the onion.garlic paste and let cook until it gets browned and starts leaving oil on the sides. Add the tomato paste and mix well. Add salt, red chilli and turmeric. Mix well and let cook until the masala is done and leaves oil on the sides. This might take about 10 minutes, do not skip this step. Make small slits in the boiled and peeled eggs (which I forgot) so that the masala seeps in. Add the eggs to the masala and let cook for another 3-4 minutes, mixing well.